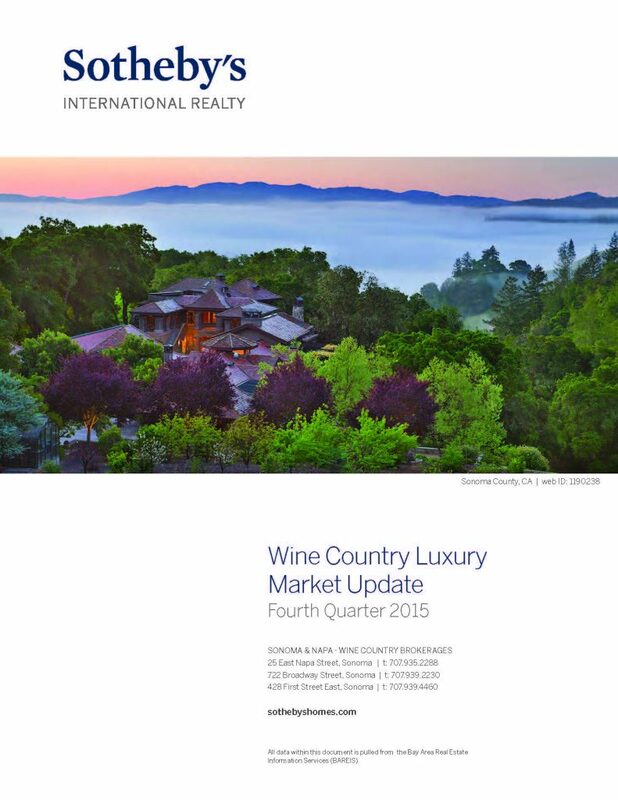 We invite you to review Sotheby’s International Realty’s residential Wine Country Market Update. The Market Update in the blue tab below provides data for Q4 2015 compared to Q4 2012 – 2014. According to Bay Area Real Estate Information Services, the Average Sales Price for single family homes was up in the Fourth Quarter of 2015 compared to Fourth Quarter of 2014 in most Wine Country markets. By comparison, the Number of Units sold was down in most Wine Country markets, reflecting low inventory yet strong demand. Of particular interest, is the increase in activity of single family homes priced over $1,000,000. The Average Sales Price in Sonoma Valley and the City of Napa experienced 21% and 27% increases (respectively) in this price category between Q4 2014 and Q4 2015. 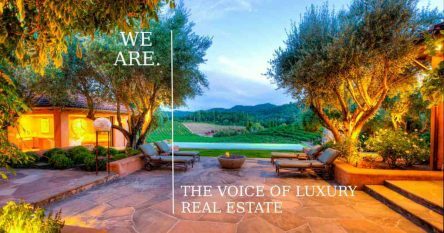 The St. Helena market showed a strong comeback from the August 2014 earthquake with an increase in the Average Sales Price of 78% from $1,053,544 in Q4 2014 to $1,873,341 in Q4 2015, and an increase of Total Sales Volume of 15% from $35,820,500 in Q4 2014 and $41,213,500 in Q4 2015. In addition to these statistics, I pulled the annual stats for the ‘Average Sale Price’ of residential properties $1,000,000 and over, showing the change from 2014 to 2015. The results are below and you will note they are quite different to the quarterly results. Please note that all data in this report is pulled from the MLS, therefore confidential off market sales are not reflected in any of these numbers. 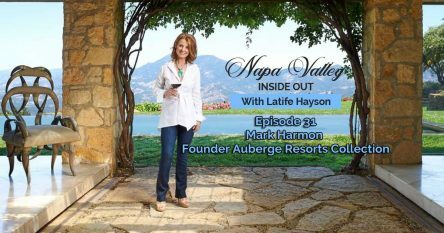 If you’re thinking of buying or selling Napa Valley Real Estate or Sonoma Valley Real Estate in 2016, please call me on (707) 738 4820, or email me at [email protected], and I would be happy to share some of the off market sales that took place and review the data above in more detail.